Itzchak Tarkay was born in 1935 in Subotica on the Yugoslav-Hungarian border. 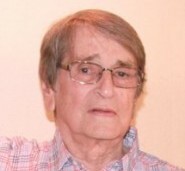 At the age of 9, Tarkay and his family were sent to the Mathausen Concentration Camp by the Nazis until Allied liberation freed them a year later. In 1949 his family immigrated to Israel and was sent to the transit camp for new arrivals at Beer Yaakov. They lived in a kibbutz for several years and in 1951 Tarkay received a scholarship to the Avni Art Academy where he studied under the artist Schwartzman and was mentored by other important Israeli artists of the time such as Mokady, Janko, Streichman and Stematsky. Tarkay achieved recognition as a leading representative of a new generation of figurative artists. The inspiration for his work lies with French Impressionism and Post-Impressionism, particularly the color sophistication of Matisse and the drawing style of Toulouse-Lautrec. He drew upon the history of art to create many of his compositions, designing a kind of visual poetry from the aura of his cafes and intimate settings. As well as being an acrylic painter and watercolorist, Tarkay was a master graphic artist and his rich tapestry of form and color was achieved primarily through the use of the serigraph. In his serigraphs, many colors are laid over one another and used to create texture and transparency.